I don't know if I have revealed this secret yet, but I sometimes just buy hostas for their names. I know what you are thinking.....really, you buy a plant just for it's name? Yes, it's true, I am a hostaholic and I admit it. I bet it's a real surprise to those of you who follow my blog. 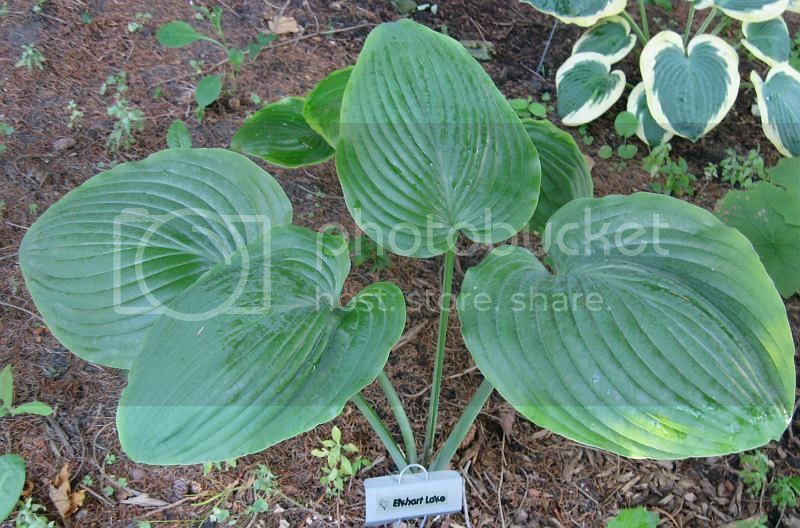 Growing up I spent a lot of time in the summer swimming in Elkhart Lake (I'm sure this hosta is not named after this lake). My mom was a school secretary and had her summers off. So we would go to Elkhart Lake at least once a week. There was a public swimming area there complete with a concession stand full of ice cream and candy. It was a great sandy beach, and I would spend only enough time out of the water to gobble down some lunch. So when I saw the name on this hosta, I just had to have it no matter what it looked like. 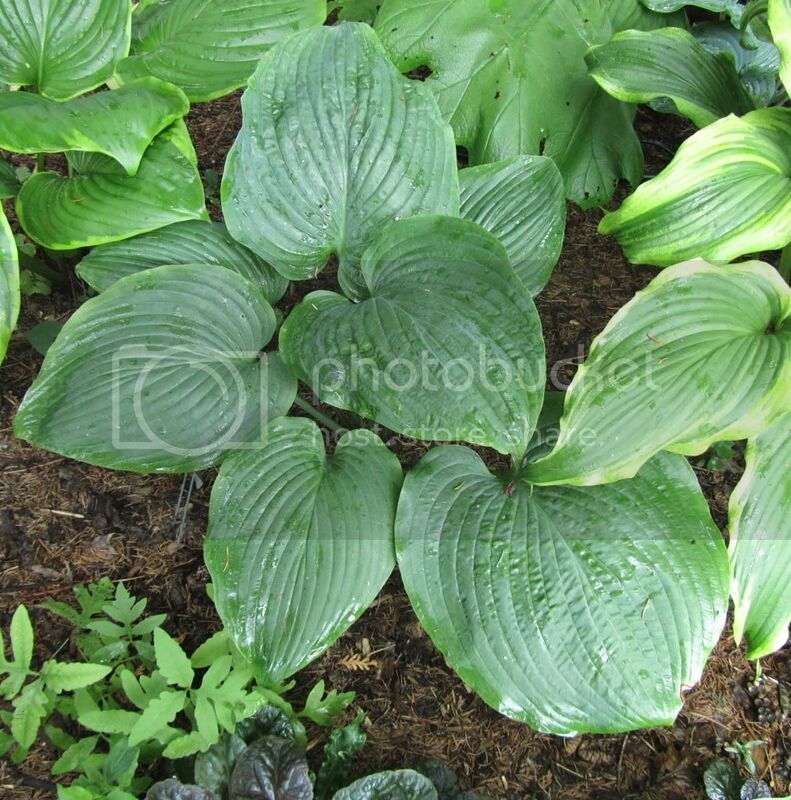 'Elkhart Lake' is a medium to large hosta with large green leaves. It has white undersides and large lavender colored flowers. The leaves also have a wavy margin. Pair this one with white margined or gold colored hostas. Great to hear from you! Hope you are having a great winter!